Craig Norris is a consultant to television stations and related equipment manufacturers. He has accumulated 30 years of experience in the electronics industry since graduating as a Radio Technical Officer within the Australian Department of Civil Aviation traineeship scheme in 1978. His experience covers project management, software development, sales, marketing, product management, product development, system integration, and digital system design. Fifteen of his 30 years career were with Sony Corporation - nine years in Australia and six years in Hong Kong. Another 5 years have been spent with News Corporation subsidiaries News Limited in Sydney and Star Group in Hong Kong. Craig has been self-employed since 2003. He is widely acknowledged as a competent writer and seminar leader, and is a regular speaker and chairperson at industry conferences. He is also a freelance photographer and video producer, and a leader of photography and video workshops. 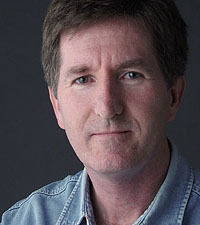 He writes a regular column and feature articles for TV Technology magazine. Star Group Limited - Hong Kong. Established a new seven channel satellite television broadcasting facility in Taiwan. Overall system design and project management responsibility. Researched and made recommendations on the implementation of new technologies for television broadcasting systems. Assisted management with planning for projects to establish new broadcasting facilities. Private research into alternative cancer treatment clinics and therapies on behalf of a closely related patient. Responsible for marketing of Sony's broadcast hardware and systems in Asia. Led the development efforts for a new multi-channel automation system and the implementation of hard disk recorders for television commercial break playout and a new digital master switcher. Senior Product Manager, Sony Australia Pty Ltd.
Professional Audio, Optical Disk storage devices, Computers and Office Automation, Software Development, and Television Automation Systems. Computerization of newspaper production systems. Sandwich pattern studies of Electronics and Communications Certificate Course, and in-house training college of the DCA. Studied all aspects of practical electronics, including aircraft navigation systems, RADAR, microwave links, HF & VHF communications, audio systems, video systems, and computers. Craig Norris is available for ad hoc short term consulting contracts.